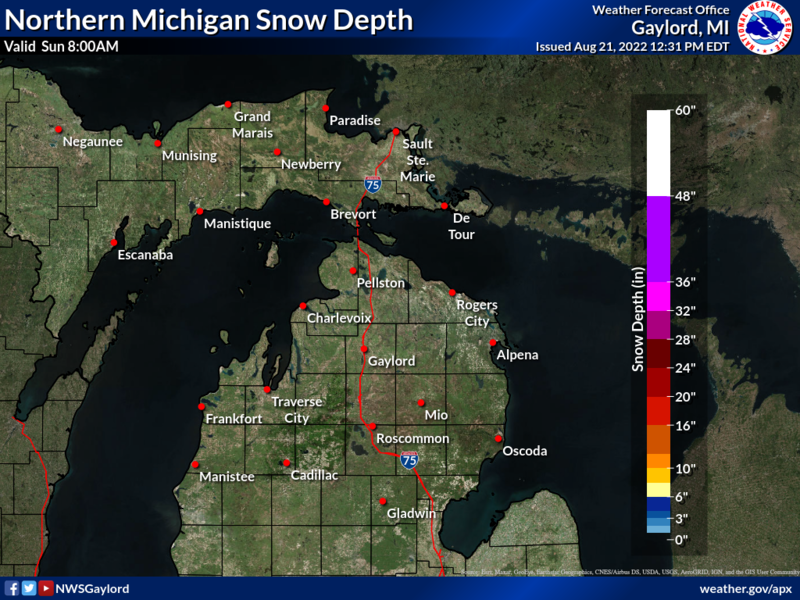 Snow Depth Maps from NWS-NOAA. Snow Depth as measured at this location. Manual depth measurements with snow ruler and gauge. As reported to CoCoRaHS. Experimental Ultrasonic Rangefinder Snow Depth Measurement. Internet Explorer and Edge do not render these gauge and plot images very well. Firefox or Chrome are recommended for this page. Maxbotix Ultrasonic Rangefinder Total Snow Depth accumulated on snow board. Plot below is for the past hour. Current Snowdepth is -1.81 inches. Some variation due to temperature fluctuations, turbulence and other ultrasonic anomalies are to be expected. Typically this error will be less than 0.5 inches or so, positive or negative. Also, the range finder reports millimeters directly. This is converted to inches by a script running on my Linux computer. The snow sensor is affected by compensation errors due to heating of temp sensor by the sun. This results in either negative snow depth or subtracting from the actual depth measurement. This is the worst on sunny days in the morning. In the afternoon, the sensor is in the shade and the effect is minimized. Check the Solar Intensity link below to see if the sun is shining brightly. If the return echo signal is lost due to heavy snow or other absorption, the rangefinder reports 5000mm. This will indicate a large negative snowdepth number. The Sensor Status window will then show SIGNAL LOST. This gauge and web data should be considered very experimental. A snow board target has been placed under the sensor to reduce variability, especially with little or no snow. How it works: The sensor uses an ultrasonic signal, like a bat to detect the range to the surface. This value in millimeters, is subtracted from the no-snow value or baseline. This value is then converted to inches. If there is no snow, the result is zero. As the snowdepth increases, the distance detected by the sensor decreases.